Developing any website is a difficult task and an e-commerce website considerably more so. An e-commerce site takes a visitor all the way through the sales funnel until they become a customer. That’s a lot of responsibility for a website, so what can you do to make sure that yours is the best? Your visitors must be able to easily navigate from one page to another without any frustration or inconvenience. Your website must deliver an optimal user experience from homepage to check out, and clearly define a user path that will result in a sale. This design must speak to your target market, and the industry that your business is in. Otherwise you will not be able to build a relationship with them that would eventually lead to a sale. This is one of the most important elements of e-commerce website design. Without it, your sales will suffer tremendously. Scatter phrases like “add to cart” and “buy now” around your page in the forms of links, buttons, and even images. Many visitors browse e-commerce websites on their phone, but then use a desktop or laptop for the actual transaction. Consequently, your site must adapt to screens of all sizes and offer a seamless transition between the two. Without this, your visitor will instantly disengage and find an alternative for your product. What happens if you make more products? Your website must be able to facilitate these additions to your product range. 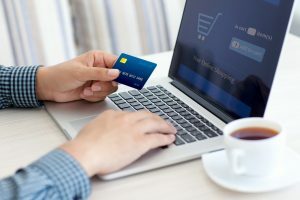 Picking the wrong platform at this point at time, could wreck your chances of developing a successful e-commerce website as it will provide a frustrating experience for both you and your user. Establish what functionality you will require (for both customer and back-end management) and choose either a hosted e-commerce solution such as Etsy.com, or a custom installation of an e-commerce software program like CS-cart. What programming language does it use (important for customisation, webhosting and support)? Is it a free or paid solution? What payment gateway does it support? Does is integrate with your shipping service? How easy is it to customise? What support does the platform provide? Is it totally community-driven or does it provide support from the developers? Is it a popular/well-known platform? Your website is your storefront. Just like you’d never put rotten fruit in the window at a grocery store, you would not put a bad picture on your e-commerce website. Therefore, you must use high quality, good sized photos on your site.Accompany these with excellent product descriptions filled with useful information such as measurements, size, colour and anything else that could help push a customer to purchase your product. Creating an e-commerce website comes with a heavy workload. It is not simply a site that takes orders and ships products. It requires a significant amount of maintenance to keep things running smoothly. Integrate your site with your marketing strategy as people will not just find your site by accident. Use Google Analytics to help monitor your site from the beginning. You may think you can do it all yourself, but our experience has proven that it can be a little overwhelming to do in house. It is best to outsource assistance from experts, so you can deliver the experience your customers deserve. Broadband Cloud Solutions is able to help you with your e-commerce website design. Not only are they experts in web hosting and IT solutions, they work in close partnership with NS Design, a company that specialises in creating beautiful and engaging digital experiences that are easy to maintain and provide an excellent user experience.